It’s a Double Post week! Since it’s just getting to be spring for many of you, I thought I’d round up some of YOUR favorites for the month of March! I can track and see what has been some of the most-shopped picks I’ve featured on the blog and on my IG, and by far these were your faves! Check them out below and let me know if I missed any. This Amazon maxi dress is one of your favorite pieces this month and it’s easy to see why! It comes in 20 print and color options and is easy-breezy. I love how flowy this is and since it buttons, you can even wear it as a kimono. Plus, it’s under $35. Another Amazon favorite was this strappy beach dress which I am obsessed with! You can style this with wedges, sandals or heels and I love that this has that laid-back, beachy vibe. It comes in 12 colors and is under $25! Shop it here. I can’t find a photo of this cardigan for some reason but I wear it All. The. Time. 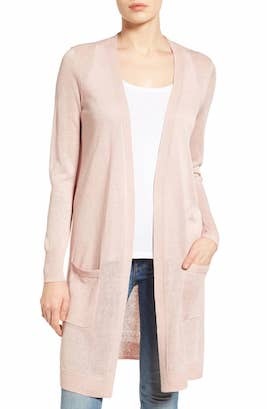 Now that spring is here, it’s time for some light cardigans and I’m not at all surprised that this Halogen long linen blend cardigan has been one of your favorites! It’s one of mine too as it’s really versatile and just one of those great wardrobe staples. It comes in regular and petite and 11 color/print options. Colors do sell out so Shop it here. This Leith tank dress has to be one of the most universally flattering dresses I’ve ever encountered! 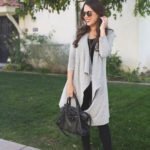 It’s so versatile (I styled it 5 ways here) and comes in 9 colors. It’s currently 20% off so get your favorite color before it sells out! This Maggy London botanical dress was one of my favorite spring dresses last year (seen here), so I’m excited to see it’s back in stock! It runs TTS and is so gorgeous in person. I love the fit and the elegant fabric. Another fab Amazon favorite is this PRETTYGARDEN jumpsuit! It comes in 5 color options and is perfect for spring. You can see it + more of my spring Amazon haul here. I hope you enjoyed this March reader favorites roundup! If you’d like to see more like this in the future, let me know in the comments below and I’ll try to make this a small monthly or quarterly series. 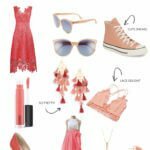 Amazon is so great for maxi dresses and always has great prices! Love your picks. The floral dress it’s beautiful. Although the other pics are also very pretty and perfect for spring ! Love this post idea! 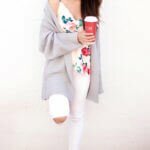 I can see why these pieces were favorites amongst your readers, they’re great spring finds! I was SHOCKED to read that maxi is from Amazon!! It’s so cute!! Thanks so much! Yes, it was such a nice find! You always have the best Amazon pieces! I need sooo many of these cute dresses! They’re all so affordable, too! These are such cute pieces for Spring and Summer. Amazon really has great deals. Love Amazon and all of its awesome deals!! So many cute pieces! Love all of these looks, so perfect for Spring and Summer!